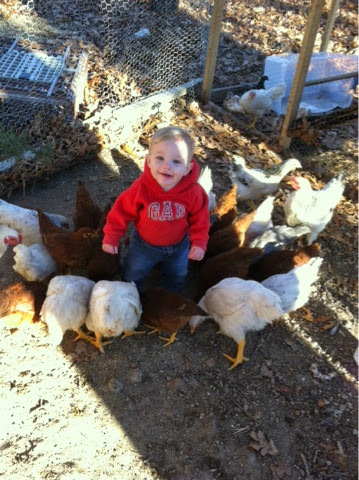 Syler got to feed the chickens with me today. Since he can now walk I thought it would be ok to climb in the pen with me. Ya know so he doesn't crawl in the poop! Feet are easier to wash! It was also in the 70's today too. He seriously thought it was the coolest thing ever. 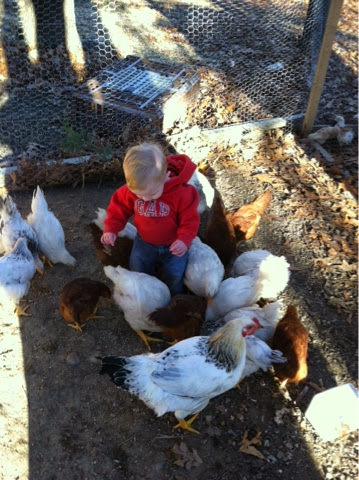 The feed was all around him and he just hand to reach down and pet them!